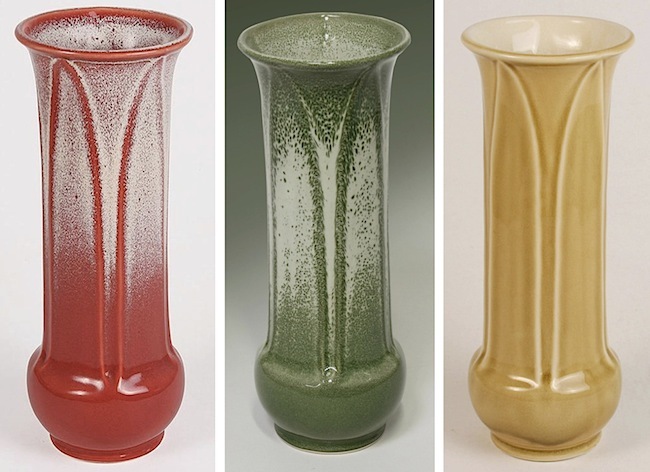 When most of us gaze upon an eight-place setting of fine porcelain china or a curvaceous ceramic vase, we see exactly that, but when Jim Robinson of Rookwood Pottery looks at such objects, he sees rocks, as I learned recently when I interviewed Robinson about his role as the venerable art pottery firm's glaze chemist. Chattering is a pottery wheel technique where a tool bounces against the rotating piece, creating a pattern of small divots. When it’s time to paint it, a hypnotic visual effect appears.